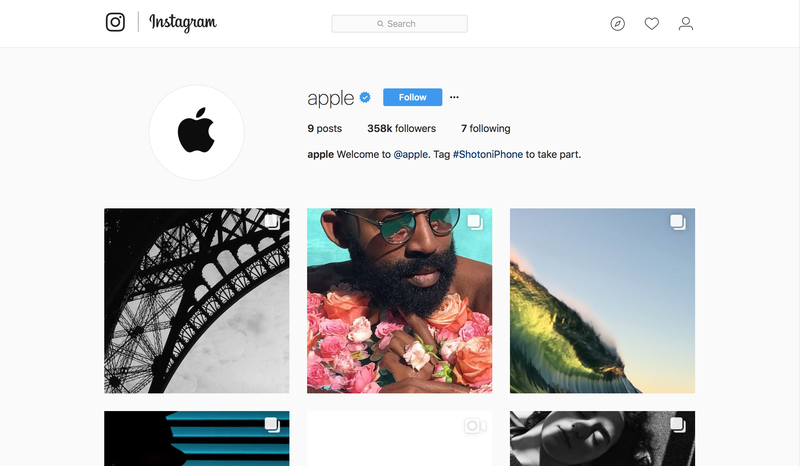 On Monday, Apple just joined Instagram. However unlike most other brand accounts, @apple handle won’t feature ads or announcements for products and services. Instead it would feature the best photos with the #ShotoniPhone. Within 48 hours, the account has gained 357 followers! The primary purpose of the @apple account is to engage with its users and remind them of the quality of the phone’s camera. Trillions of photos are shot each year on iPhone. With 700 million active users on Instagram, most of which are iPhone owners, Apple is planning on leveraging its existing base to infuse excitement around their products and showcase the creativity of its users. If you wish to be featured by Apple, all you need to do is use the popular hashtag #shotoniphone on Instagram.